Our very own GK Founder & Troupe Leader was recently featured on PRI ‘s The World for their First Days Series, which features stories on what it’s like for immigrants in their first days in the United States, inspired by the South Asian American Digital Archives First Days project. Cheng Imm Tan came to the US from Malaysia as a student in 1978. The way she tells it, her parents were against the idea, but she was determined. She researched American colleges that had accepted Malaysian students before, and randomly sent out applications. Soon enough, she’d landed herself a scholarship from Wilson College in Chambersburg — a small town in southern Pennslyvania. On the plane ride over, she remembers sitting next to a businessman. “Aren’t you scared?” he asked her. She touched down in Philadelphia and remembers an interminable three-hour drive to Chambersburg. She’ll never forget her first night. “Are you sure you’re not hungry?” the woman asked. “Yes, I’m really sure. I’m not hungry. Thank you so much.” And then, to Tan’s astonishment, the woman said, “Okay. We’ll see you tomorrow then,” and she went back downstairs. “I was like, ‘What?’ I was starving! In my culture you never let anyone go to bed hungry! You never let anyone come into your house without eating anything. You always feed them, and they always protest, and you always insist they eat, and this is a ritual. Eventually, everybody eats. I went to bed that night hungry!” Tan recalls. Tan was in for another bit of culture shock when she got to campus. Once she moved into her dorm, she wanted to take a shower. She was shown a bathroom with a tub, but no shower. “I’ll take a bath then,” she thought to herself. Back home, in Malaysia, she was accustomed to taking a bath in a wet bathroom with a drain in the floor. She would fill a concrete tub with water and then use a pail to scoop warm water and pour it over herself. The excess water went down the drain. But this bathroom at Wilson College didn’t seem to have a drain in the floor. There was no pail either. So she went to her room, retrieved a coffee mug, filled the bathtub and started washing herself the way she used to back home. Soon, she heard a knock on the door. She realized, with horror, there really was no drain. Tan says these were minor incidents compared to the larger challenge of understanding how people related to one another, and the pain of isolation she felt in her early years here. She went on to study at Harvard Divinity School. A professor there helped her realize that some of what she was experiencing, especially her sense of being invisible, was actually the result of racism. She remembers thinking it couldn’t be racism because she was Chinese. Tan ended up settling in Boston. She became an ordained minister in the Unitarian Universalist Church. She made a career as an advocate for women and immigrants, most notably as founding director of the Mayor’s Office of New Bostonians, helping immigrant communities “move from the margins to the center.” She also founded the Asian Task Force Against Domestic Violence, started a food pantry for the Asian community called Ricesticks and Tea, and leads the much-loved Gund Kwok, an Asian Women’s Lion and Dragon Dance Troupe. 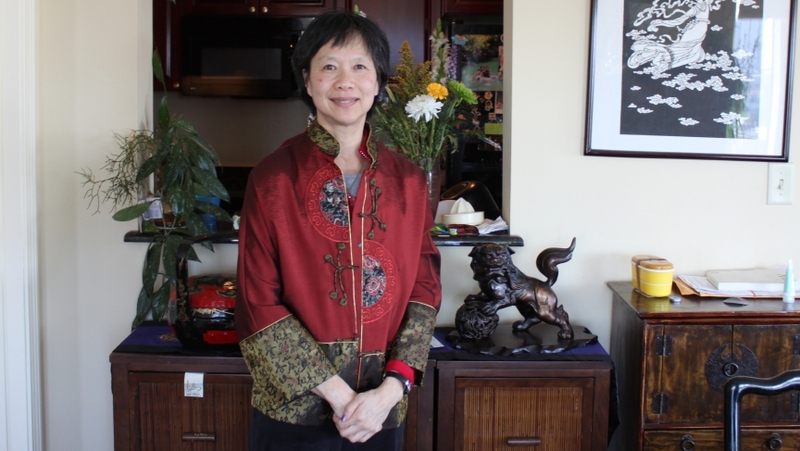 It seems fitting, after the ordeals she weathered during her first days in the US, that Cheng Imm Tan has now launched a private coaching practice to help foreigners integrate into American life.